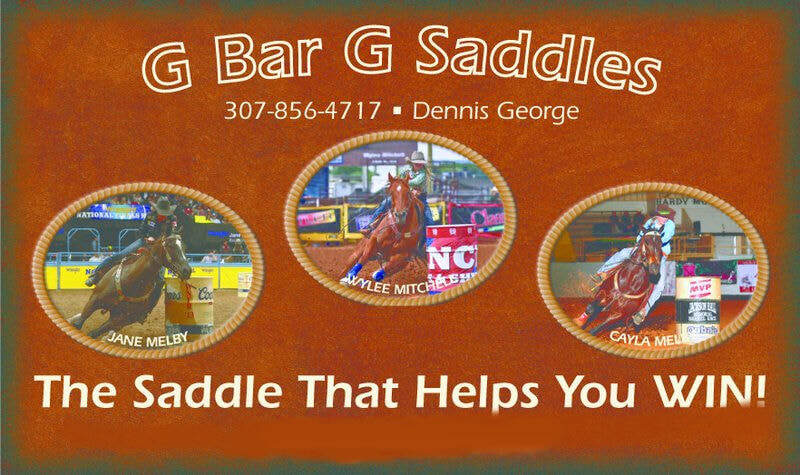 Thank you for your interest in G Bar G Saddles. I have been building saddles since 1965 and under the G Bar G name since 1971. Our main line for many years was our Bronc Saddle. We have become well known and respected in the sport of Rodeo. From time to time I made a few Stock Saddles but my love was for building Bronc Saddles. When I came up with the combination that has become so popular with Rodeo and Ranch people, men and women alike, I started spending more time and thought in trying to make the best Stock Saddle I could. I have always tried to make the saddle the working cowboy could use every day, all day and still enjoy his job. The perfect combination was shown to me by an old timer at my booth the first year the Finals were in Las Vegas. He said, “If I would have had my Bronc Saddle Cantle on the Toots Mansfield style saddle I was showing him, he would buy it!” This got me thinking and I went to work on this tree design as soon as I got home. I took a low Association and raised it 1” in height on the swell, put my leg cut under the swell to narrow down the front end like a slick fork and put my 4 1/2” Bronc Cantle on it. ​The rig is a 7/8 Montana Flat Plate rig I redesigned, taking it behind the cantle rather than up into the seat, giving more forward free stirrup leather movement and is still balanced for strength and gives a narrow feel. I finished with the hand carved ground seat that I put in all my saddles. I spend between two and three hours cutting the ground seat and sitting in it to make sure there is no hot spots or places that will sore you. If we know your special needs, we can put those in for you. This is the part of the saddle that has to be perfect or your saddle will not have that comfort we strive to put in all our saddles. You should feel as good when you get off your horse at the end of the day as when you get on. The outer shell of the saddle is made custom for each individual and their personal preference. We make the changes you need for the job you are doing or the look you want. All the saddles on this site are ones made for someone. You can choose the whole look of one saddle or take parts from many saddles and combine to get the look you want on the Stock Saddles page. ​We have also designed a set of specialty saddles for event competitors. If you are serious about winning in steer wrestling, roping, or barrel racing, take a look at our special Barrel saddles, Steer Wrestling and Roping saddles. ​Randy George has taken the Bronc Saddle business. You can find him at www.gbargbroncsaddles.com. I dedicate this catalog in memory of my Dad, Gene George for all the great work and support he gave all of us (at 93 years of age) at G Bar G Saddles. Thanks, Dad.